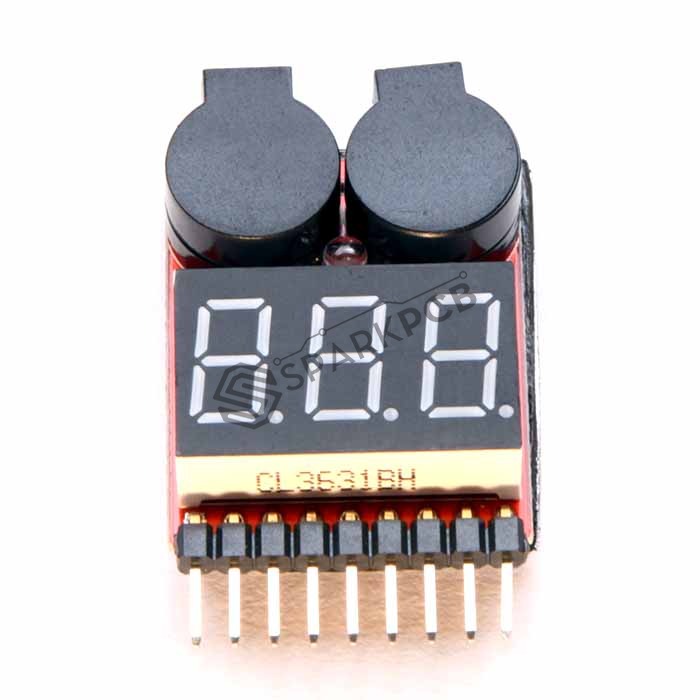 LIPO Battery Voltage Tester and low voltage buzzer alarm combo is easy to use. can save your model/batteries and investment. This is a new product combining all the voltage measurements with low-voltage alarm function. Li-Po Battery Voltage Buzzer+Indicator: directly plug it into your operating battery, it will monitor the conditions of your battery all the time, so your batteries shall remain within safe operating voltage range at all times. Low voltage Buzzer alarm mode for 2-8S. With a push key by which you can change the value settings and save. Mini shape, no larger than a common key. Really useful in flight if you can't see the lights. If you have already bought this item from us, it will be awesome if you write a review!